The child at the center of the case Turkheimer v. Burke began to have trouble in school beginning in the latter years of high school. His school had sent him to counseling and issued an individualized education program, and had considered him “multiply disabled” at the time of his graduation. However, the son had not received ongoing psychological or psychiatric treatment after high school, and had not been deemed disabled by the Social Security Administration or some other authority. While he attended one community college course after graduating high school, he did not continue his course of study. 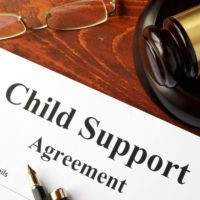 The parents had agreed in their 2006 Marital Settlement Agreement that their three children would all be considered emancipated and no longer entitled to child support after turning 18, unless they were still enrolled in school. When the father stopped paying child support for the son, the mother sought the court’s ruling that the son, who lived with his mother, was not yet emancipated due to his disability, and deserved to continue receiving support. The trial court disagreed, ruling that the son was emancipated, and the mother appealed. New Jersey maintains fairly generous laws on when a child of divorced parents will remain entitled to receive child support. Nevertheless, there are limits on when a child over age 19 will be considered entitled under the law to receive financial help from their parents. Revisions to the state statute specifying when a child of divorced parents will be considered “emancipated” were signed into law in 2016 and will soon enter into effect. As of February 1, 2017, New Jersey will consider a child who reaches 19 years of age to be emancipated, and will automatically terminate a parent’s duty to pay child support, rather than requiring a parent to request that a court find their child to be emancipated. Emancipation will not occur, however, if a court issues an order specifying a different age for the termination of child support, or the court approves of a parent’s written request to rule that the child is not yet emancipated. Prior to the passage of this law, parents could agree in marital settlement agreements that children would be considered emancipated after a set age, as did the parents in this case. Under current and former versions of the law, parents could seek to have a court rule that a child was not yet emancipated where extraordinary circumstances existed, such as where the child had a physical or mental disability. In the case at hand, the mother argued that the son was clearly not beyond his parents’ sphere of influence due to his disability, and that the court should not rule that he is emancipated until he was relieved of his disability. However, the Appellate Division disagreed. The court found that the mother and son had the obligation to prove that the son’s mental health issues precluded him from becoming independent. The court noted that the mother failed to present any evidence from an expert witness regarding her son’s disability, which would have been useful in showing that the son could not function independently of his parents’ help. The court ruled that, without additional evidence, the court saw no basis to rule that the child was incapable of living on his own. If you’re facing a custody dispute or divorce in New Jersey, contact the seasoned and diligent Union family law attorney John B. D’Alessandro for a consultation on your case, at 908-964-0102.